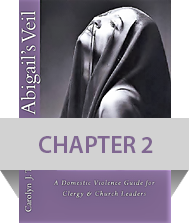 Abigail’s Veil is a resource for clergy and church leaders wanting to address the issue of domestic violence. 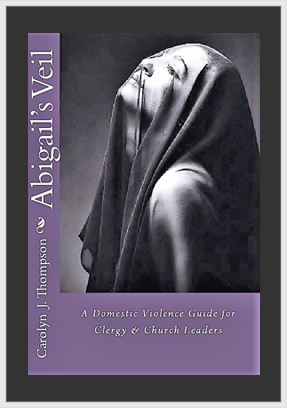 The author provides a combination of legal and biblical references to assist pastoral care ministries in combating abuse within their congregations. The importance of dispelling the myths, exposing the traditions and highlighting the stigmas of domestic violence are demonstrated by this former attorney’s experience with clients suffering in abusive relationships. The decision to serve as an advocate for domestic violence victims often comes with great sacrifice. A book that would help in how to help in situations of domestic violence! A must read for those who wish to help! This is one of the most important topics that so often go without thorough discussions. This book brings this serious subject too the fore front of discussions in away that will cause people to understand its Impact in our communities. Domestic Violence continues too be a major problem for many families of all economic classes. The author has done a great job putting together a guide to aide in the discussion. This is a must read for anybody that cares about Domestic Violence prevention. I commend the author foremost for providing profound understanding of scriptural references regarding marriage. This publication gives very practical principles relating to spousal responsibilities; as well as the role clergy and lay leaders should consider to counsel, preach and teach the precepts of marital relationships as established and ordained by God who instituted the marriage union. The layout and language is of such that persons from “all walks of life” can understand and apply. Great publication; much needed insight and wisdom. Excellent treatise on the subject. Have recommended this book often. Very well done. 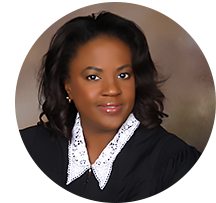 Minister Carolyn J. Thompson presides as a District Court Judge in the Ninth Judicial District. She presides over various types of cases including the abuse, neglect and dependency of children, juvenile delinquency, issues involving the breakdown of families and marriages, and those dealing with domestic violence. As a minister and judge, she is inspired to educate the church community regarding victims of domestic abuse – many of whom often attend our local churches seeking pastoral care and counseling because of abusive relationships, and who TRUST the advice of those holding positions of authority and leadership within the church. Her dual role offers a unique perspective of the church’s decision to respond or its decision to remain silent about domestic violence behind church doors. Prior to becoming a judge, she advocated on behalf of domestic violence victims for over 13 years as a domestic/family law attorney. She is a licensed and ordained Minister of the Gospel.